A beautiful unique massage cream that has an extraordinary aroma of citrus for the whole body, giving a wonderful feeling of well being. 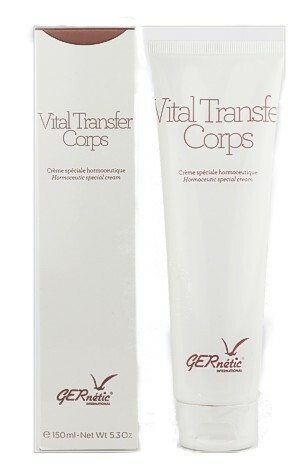 GERnetic Spa Massage Cream has many unique properties it has a beautiful citrus smell and is easily absorbed by the skin, it gives your body a tremendous feeling of well being, it is ideal for heavy legs, fatigue and that feeling of over worked and lack of sleep and circulation problems and fatigue. Macadamia and grape seed oil, make up base of the cream. Also includes artichoke, hepatoprotector cynatin,inuline, potassium,magnesium,Cymbopogon cirtatus essential oil, ravensara aromtica. Plus many other natural ingredients. GERnetic massage cream can be applied to all over the body from sole of the feet (most important) to top of the body, if will give a wonderful feeling of well being and even more relaxing and enjoyable if some one else does it for you. A real treat for the body at a terrific introductory price.